First, make a pattern. Your yo-yo pattern needs to be twice as wide as your intended yo-yo, plus about 1/2" for seam allowances. 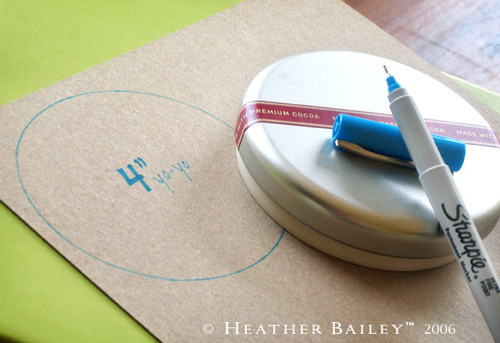 You can use a compass to draw out your pattern, or find a bowl or lid to trace. Chipboard works great for a pattern, as does the cardboard from a cereal box.